This appears to be merely an US acetate copy of the standard Phil Spector mixed album. It was auctioned March 2004 on eBay. The auction description below states that four songs have different mixes than the released version. I find this unlikely since neither Barrett nor Lewisohn document any pre-final compilation. 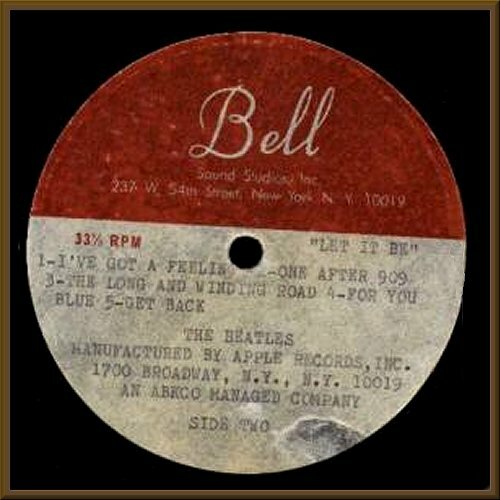 BEATLES-Let it be GIGA RARE USA BELL ACETATE COPY !!! 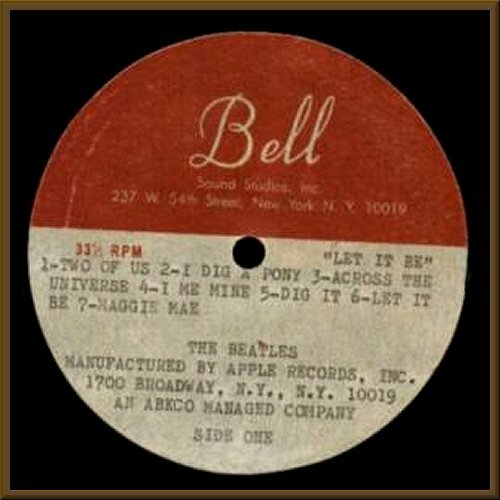 BELL SOUND STUDIOS,USA.Here's a GIGA rare Beatles acetate version of "Let it be" !!! Four tracks have different takes than the offical issue-"Two of us","I me mine","Maggie Mae" and "For you blue"....Disc has few light hairlines,looks strong VG + but plays MUCH better,EX! !Label on side A is very clean,on side B has a small tear,not too disturbing to the eye...A "preliminary studio information sheet" is also included.This is a rare opportunity to own a piece of history.